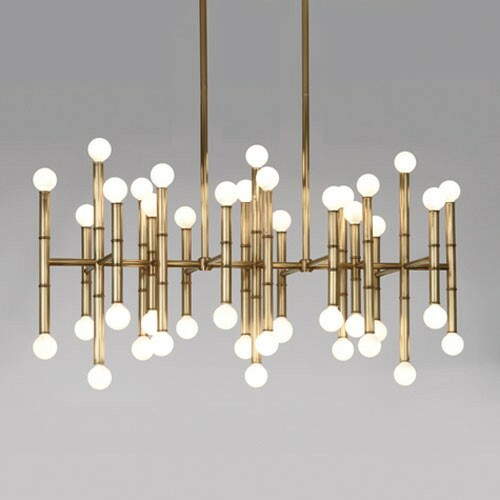 42pcs G16.5 E12 LED Filament bulbs, The Jonathan Adler Meurice Rectangular Chandelier features a metal body offered in three different finish options. Bamboo-detailed stems place each light at varying levels to create a dynamic look. 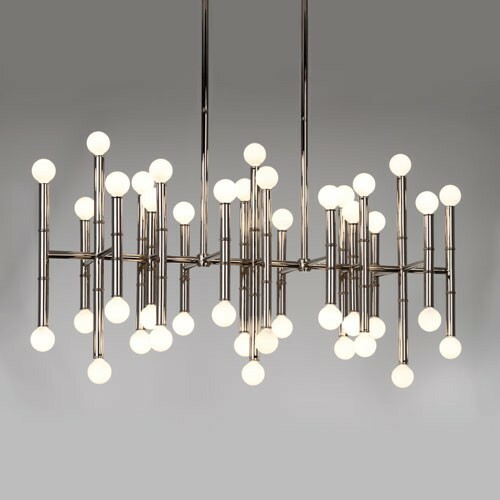 Available in polished nickel, antique brass or deep patina bronze finishes. Ships with 6 X 12 in., and 3 X 6 in., internally threaded stems that can be used in combination for flexible mounting heights.